Sports fans are a thirsty crew. 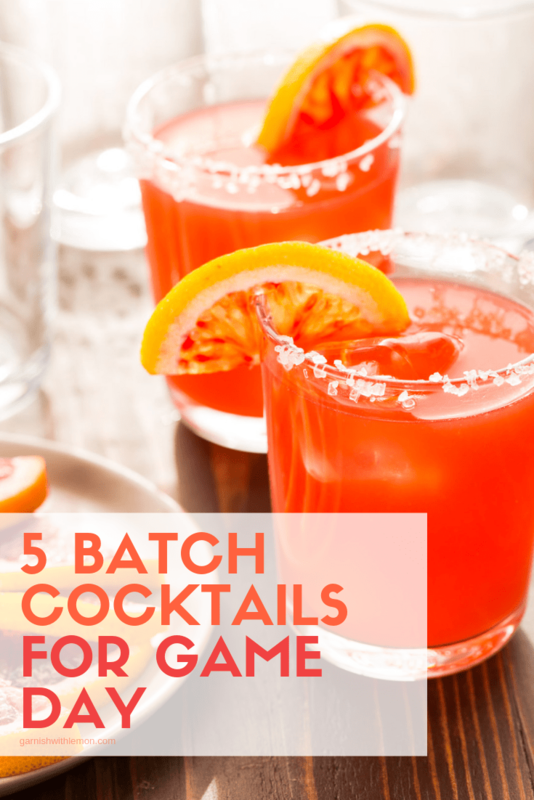 Quench everyone’s thirst with these 5 Big Batch Cocktails for Game Day Drinking. Looking for an option that’s not beer to serve your guests at your Big Game party? 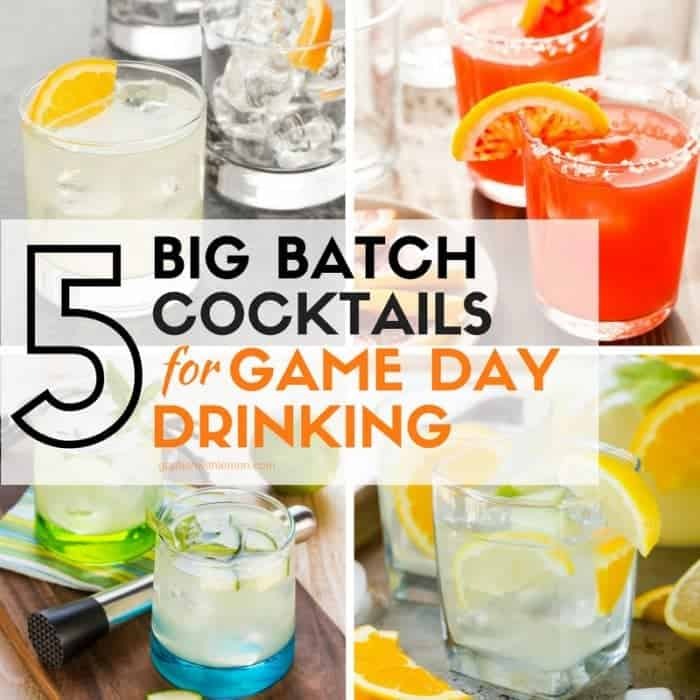 Check out our list of 5 Big Batch Cocktails for Game Day Drinking. Whether you’re a tequila lover, a gin aficionado, a vodka fanatic, a whiskey nut or a rum enthusiast, we have cocktail recipes for you. Plus all of these drinks can be prepped in advance so you can enjoy the game instead of tending bar. Genius! 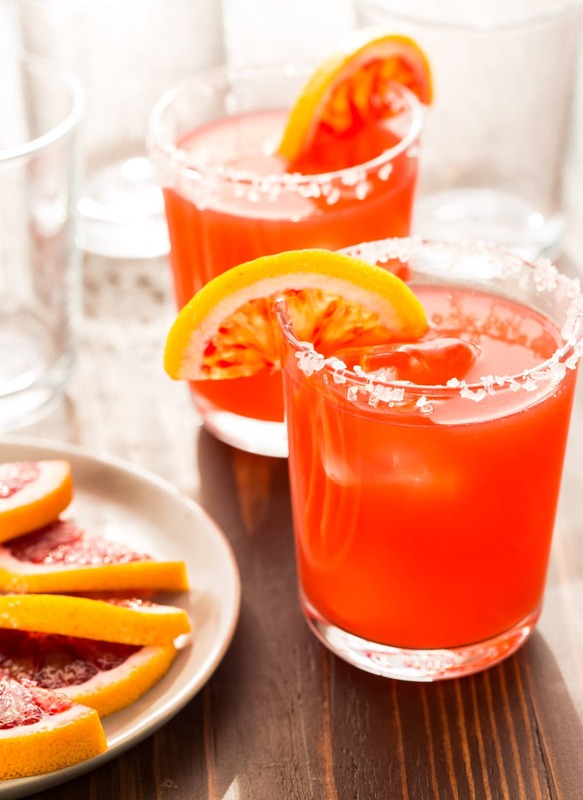 The grocery stores are full of citrus right now, so grab as many blood oranges as you can get your hands on because you’ll want to make more than one pitcher of these tasty Blood Orange Margaritas. We prefer silver tequila for these cocktails, but feel free to use your favorite tequila instead. 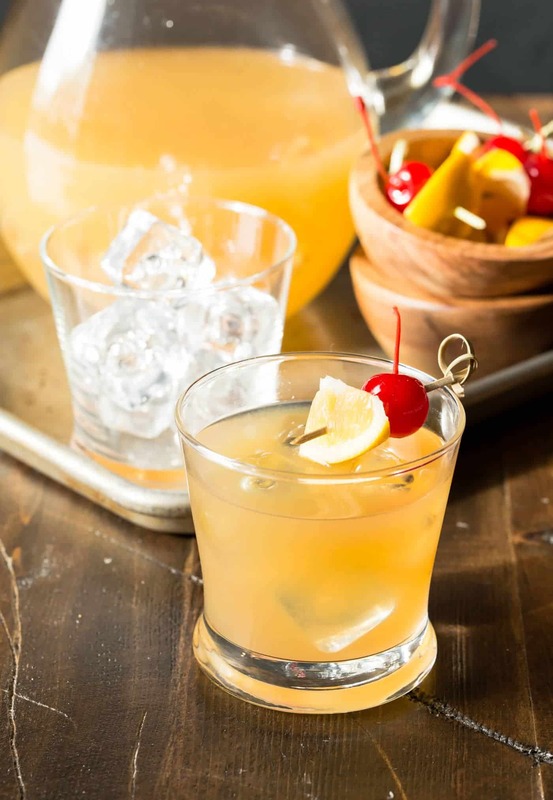 Stock up on meyer lemons when you are at the store, too, because these Meyer Lemon Whiskey Sours are a delicious way to celebrate your favorite team’s success (or nurse their loss). Never used meyer lemons before? 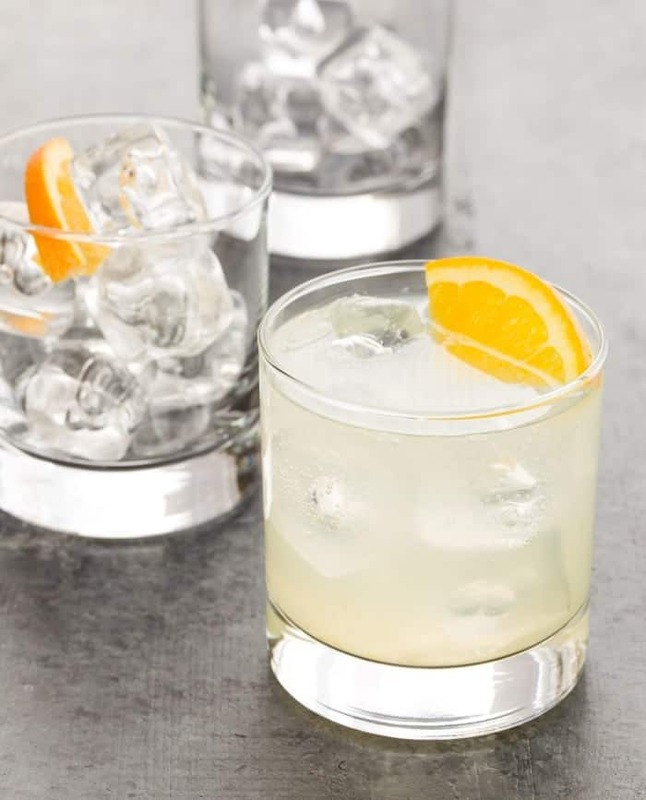 They are a cross between a mandarin orange and a regular lemon – smaller and sweeter than your average lemon – and perfect for these whiskey cocktails. You know that uber refreshing cucumber water you get at fancy spas? 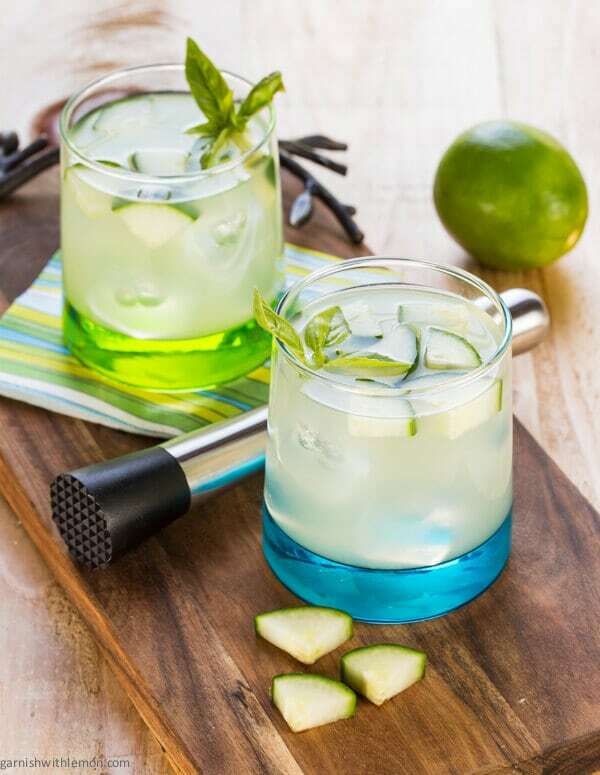 These Cucumber Basil Vodka Gimlets are basically the adult version of that – but soooo much better. Perfect for all those die-hard vodka fans you invited over for the game. Love a classic gin and tonic? 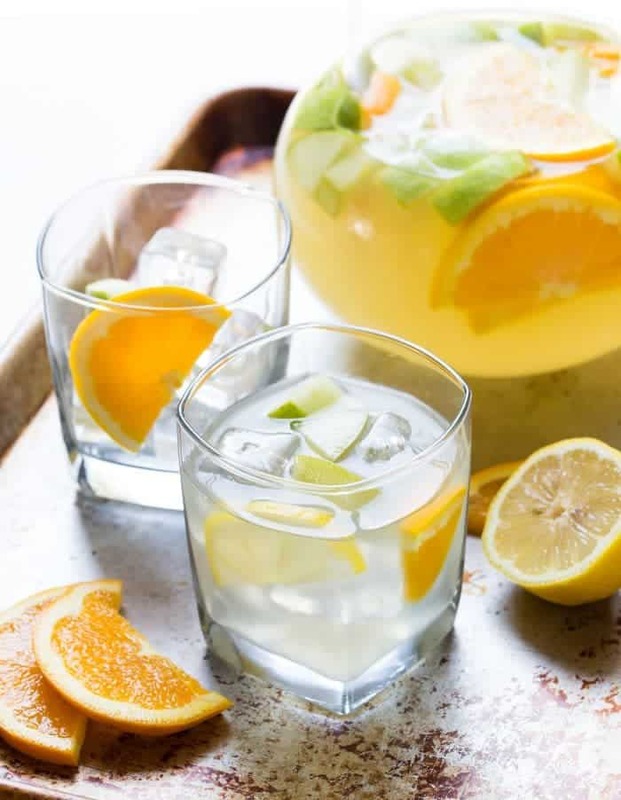 Put a fresh spin on an old favorite with these Citrus Gin Sodas. Oranges add brightness and freshness to this cocktail while soda water stands in for traditional tonic. It’s a great way to introduce new flavors to friends and family who might not want to part with their old standby. Is the game getting heated? Cool everyone off with a pitcher of this Sangria Lemonade. Fresh lemonade, white wine and lemon rum combine to quench the thirst of even the most vocal fan. Looking for more cocktail inspiration to serve a crowd? Follow our Batch Cocktail Recipes board on Pinterest!